Today [Nov 7] at the Bermuda Football Association Digicel launched its Football Fund which will provide direct financial support to youth teams. The fund is specifically for clubs with U13, U11, U9 and U7 teams and will go towards equipment and kit. From tomorrow onwards clubs have a two-week window to submit their requests and the Bermuda Football Association will send out the submission form plus additional information to all clubs over the next 24 hours. At the launch Donn Foggo, Digicel Marketing Manager said “Two weeks ago the telecoms company donated four packs to clubs which included bibs, Adidas balls and T-shirts, and cones to clubs. “We’d like to thank the BFA for their time and input into the fund, and for their support. So much goes on in the back ground that nobody sees. General Secretary David Sabir and his staff are a credit to the association and of course a big acknowledgement to the coaches, staff and volunteers who run the clubs. It is absolutely a labour of love!,” he added. “When Digicel approached me about the establishment of this fund clearly we were very excited that another corporate entity in Bermuda is looking at the value of football and the role it plays in our community. “On behalf of the Bermuda Football Association and the clubs we are very grateful and very thankful for earmarking funds to support and we are certain the clubs will use it for it’s intended purpose of supporting youth football,” commented David Sabir, General Secretary of the Bermuda Football Association. 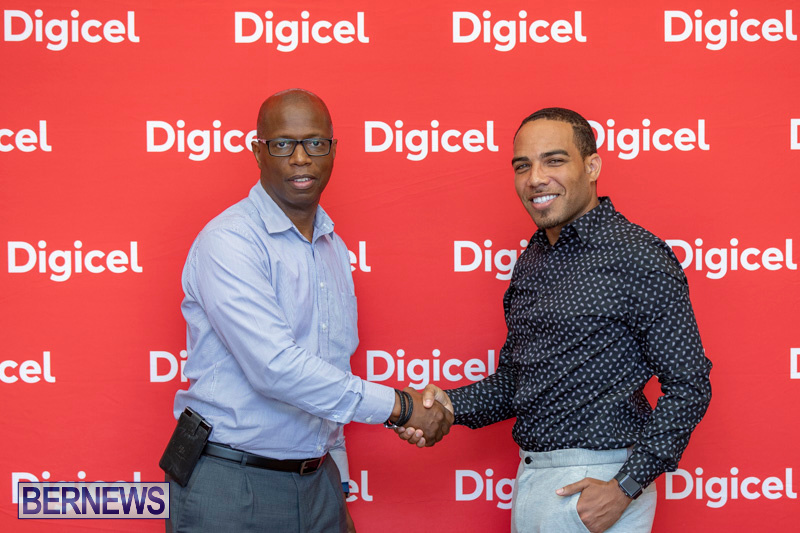 Since 2016 Digicel has donated over $345,000 in various sporting, cultural, charity and musical events as well as supporting youth sports and athletes through sponsorships, donation of services and supply of kit. This is equates to 0.1% of revenue, bravo.